Face masks moisturize, exfoliate, soothe, and cool – sometimes all at once. And in recent years, they've grown in popularity by leaps and bounds. That's good news for Kim Jung-woong and his GP Club Col Ltd. It took him just two years to turn his maker of face masks, creams, lipsticks, and other cosmetics into a $1.3 billion company. In fact, his company is so hot that it attracted Goldman Sachs, who acquired a 5% stake in Kim's company for $67 million. Goldman Sachs told GP Club that it had been watching the cosmetics market closely. It is big business. In October 2018, Credit Suisse bought a 3% stake in L&P Cosmetic Co., maker of the Mediheal face mask sheets for $35.6 million. In 2017, Unilever spend $2.6 billion to acquire a majority stake in Carver Korea Co., making that company's founder Lee Sang rok worth about $900 million. South Korea was the sixth-largest cosmetics exporter in the world in 2017. For the first nine months of 2018, the country, which is a quarter the size of Japan, exported $4.6 billion worth of cosmetics – a 31% increase from the same period a year earlier. GP Club's Kim Jung-woong began his career selling cosmetics to wholesalers in China. In 2016, he started his own brand, JM Solution. That company took off dramatically when it gained popularity on Alibaba's e-commerce platform Taobao. In 2017, Kim's company introduced the Honey Luminous Royal Propolis Mask, and expanded into duty-free shops in Korea. The lower prices of GP Club's products attracted people buying products for people on mainland China, where there is limited access to foreign goods and as a result the prices are much higher. In December 2017, GP Club sold 9.5 million face masks. 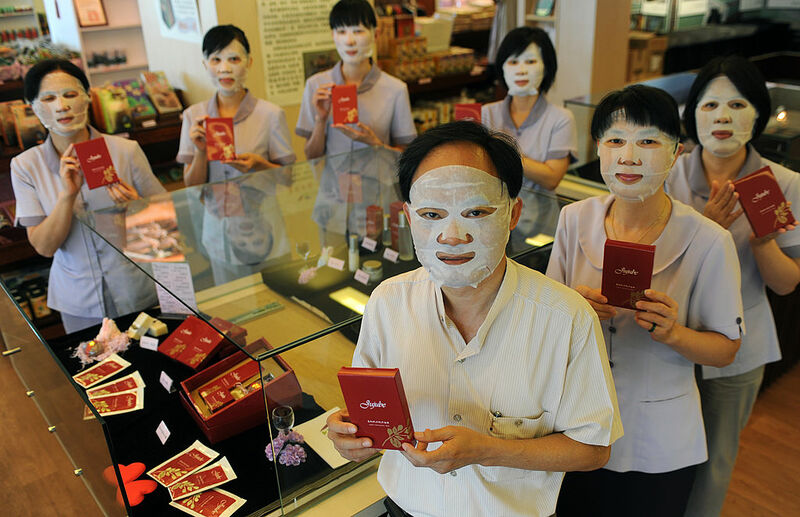 In August 2018, the company sold 100 million face masks. That got Goldman Sachs' attention. Self-made fortunes are rare in South Korea. Of the 500 richest people in the world, only two of seven Korean billionaires are self-made. The chaebols, that is family run business conglomerates like Samsung, leave little room for self-made competitors. The exception to that ingrained rule is the beauty industry. When passengers disembark flights at Incheon International Airport, the first things they see are enormous TV screens hawking beauty products from smaller, lesser known cosmetics companies, like GP Club Co. Ltd, not Samsung, LG, or Hyundai ads.